Mixing strength, vigor and health, it is no doubt that London is going to provide many of the most breathtaking Olympics spectacles and it is bound to present a wonderful Olympics to the world. Summer 2012 belongs to London and London receives focuses from all over the world. People are driven by the brilliant performances and almost all hot topics on the internet or TV are about the 2012 London Olympic Games. There is not a sport event in the world that can match with the Olympics. How can you miss that chance to watch Olympics 2012 via any ways: watch Olympics online, watch Olympics in 3D, watch Olympics on Android devices, keep Olympics videos, etc.. I write this for you to watch Olympics 2012 on New iPad, not using some iPad apps or with internet online broadcasting. I make you watch Olympics 2012 on New iPad with your self-designed style anytime anywhere. I have to claim here that I am not going to provide you with a way to watch online video through the New iPad. Indeed, I write for those who do not have enough time to watch 2012 Olympics live broadcast, or want to enjoy 2012 Olympics with customized features. 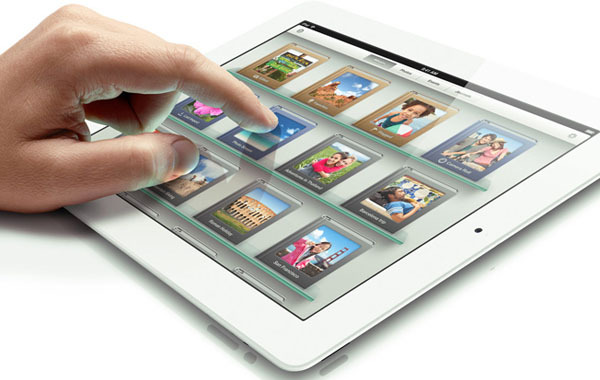 At first, we need a Video to New iPad Converter, which is with functions of any mutual media format conversion as well as video effect or 3D effect editing. Now we can start to convert Olympics 2012 video to New iPad for playing. Download Video to New iPad Converter and install it on your PC, when you run it you can add Olympics videos to the software process lost via the “Add Video” button or you are able to drag video files to the software directly. Then, choose the compatible format for the New iPad. Generally speaking, the new iPad supports to playback video in H.264 or MPEG-4 format. You can find the corresponding format in “Profile” section. Next, it is time for you to add some personalized features to the output video. In the “Edit” section, you can trim video length, crop video size, adjust video brightness, contrast, saturation and add image or text as video watermark. In the “3D Settings” section, you are able to select a 3D setting mode according to the 3D glasses you are using and set 3D Depth effect, thus, you can convert 2D Olympics to a 3D one. Finally, via the “Convert” button, you start to convert Olympics 2012 video to New iPad easily. OK, now you successfully convert Olympics 2012 video to New iPad and then just watch Olympics 2012 on New iPad freely.